The abundant natural beauty of the Canadian West Coast inspires me. I am drawn to capture the simple elegance in the curve of a leaf, subtle shifts in colour and the radiance of light as it interacts with form, all in a moment in time. The flowers I paint often represent metaphors for me. Sometimes with dance and or musical themes and often evoke memories of the connectedness of people and times in my or our lives. Like when a rose reminds you of your mother. The process of creating timeless beauty can be a transformational. Sandy Terry paints award-winning, dramatically elegant florals in acrylic. She has garnered recognition as a Signature Status member of the Federation of Canadian Artists (SFCA) and an elected member of the Society of Canadian Artists (SCA). Sandy’s work is dramatically representational, with loosely flowing brushwork and richly layered pigment. Her vibrant renderings embody the essence of splendor and grace in Nature’s timeless canvas. Originally from northern New Jersey, Sandy was inspired to create by having rich exposure to galleries, museums and theatre. She currently embraces the West Coast of British Columbia as her home. 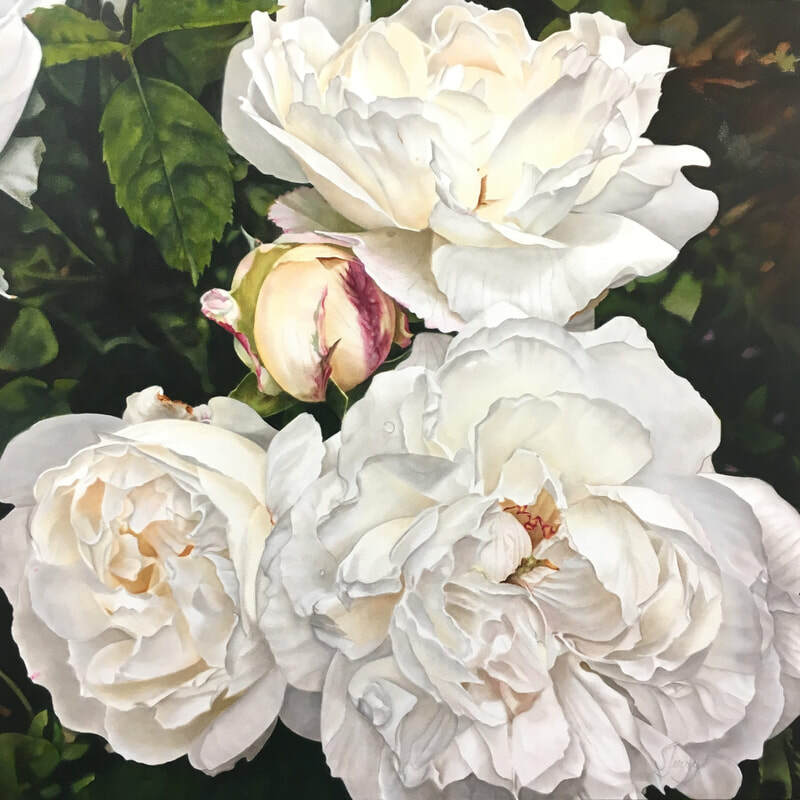 Painting florals mirrored her own flowering as an artist, following years of sparking children’s imaginations, as a teacher within the Public School System. Her work is in private collections in Canada and the United States.